In 2015 the BFC announced their intention to move the 62nd London Fashion Week to Brewer Street NCP car park – a stunning Art Deco building in the heart of Soho. EAS’s technology is totally flexible: it’s compact yet reliable, and can be run on line and off line if required. Detailed forward planning was the key factor in delivering a seamless service for LFW: nothing could be taken for granted. The 62nd London Fashion Week was delivered to critical acclaim and the 63rd LFW returned to Brewer Street car park in February 2016. Each season thousands of fashion buyers, photographers, broadcast crew, bloggers and journalists visit LFW and every single one goes through EAS’s Accredit System. 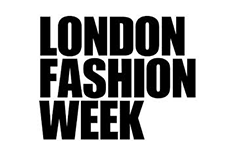 The February 2015 London Fashion Week is the 20th LFW that has been run through the EAS systems.